With increasing age comes increasing responsibility. The body doesn’t function like it used to, and deciding whether to move your elderly relative into a nursing home or stay in their current home is something that many individuals must experience. Aging in Place has become a common form of elderly care because it allows seniors to live where they choose and get any help they need for as long as they can. Unfortunately, there are many complications associated with this approach that must be brought to light in order to make an educated decision. Less Surveillance=More Risks. Aging in Place allows for comfort and familiarity, but lacks when it comes to safety. Although remaining in your own home is convenient, the dangers of something happening while an in-home nurse or family member is not present is a very serious risk. One of the most common causes of death in elderly men and women is simply from falling. When a fall occurs, the result is often an increased susceptibility to a medical problem or disease. While it may be more cost-effective to stay at home as long as possible, the associated health risks must be considered. Making your home safe takes time and money. If your elderly relative decides to live at home, there are several steps that must be taken in order to ensure his or her safety. First, it is important to get rid of any clutter or throw rugs that may cause a fall. Furthermore, replace any dim lights with brighter bulbs to remove the risk of poor lighting and further reduce the chance of falling. Bath, water, cooking, and fire hazards are also important to keep in mind. Make sure they can cook for themselves, and get rid of any space heaters or things that can cause a fire. Communications concerns are also important to keep in mind. How will they contact other family members, doctors, etc.? All of these actions should be taken if a senior plans on Aging in Place, but oftentimes it still isn’t enough. Aging in Place has many benefits, but for most elderly men and women there comes a point when living at home is simply dangerous. 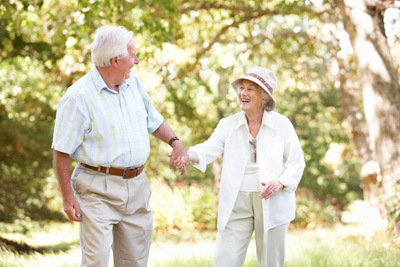 This is the time when moving into an assisted living home is the best option. Senior living homes provide a place for elderly to live where there is always a professional nearby to assist with any and every need. Not all senior homes are the same, however, and some may treat their occupants simply as a source of profit rather than a human being. Tysons Woods Assisted Living Homes is the opposite. Our incredibly compassionate and caring staff is dedicated to ensuring that every senior is cared for and treated like family. Our like-home facilities will ensure a happy and peaceful stay, providing the comfort of home with the safety of a talented and loving medical staff.